If you’re trying to figure out the best shopping streets in Los Angeles, one of these locations will have to be The Grove. You might have heard about this popular shopping destination on TMZ since it’s not uncommon for celebrities to be spotted here. Read on to get more info on the Grove! 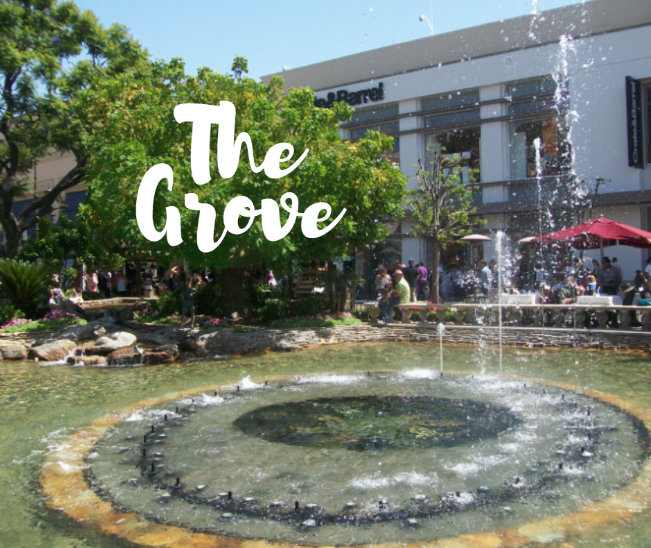 One of the reasons The Grove is such a popular shopping destination is because it is an outdoor shopping area, which provides an excellent way to enjoy the beautiful L.A. weather still while still also shopping for the perfect outfit. The Grove also has an impressive amount of stores so you can find whatever you’re looking for. From clothes and accessories to tech, whether you want something for yourself or are looking for gifts and souvenirs to remember your time here, the Grove is a perfect one-stop shop. Some of the shops you can find here include Anthropologie, the Apple Store, Athleta, Banana Republic, Barnes and Noble, Brandy Melville, Crate & Barrel, J. Crew, Gap, Michael Kors, MAC Cosmetics, Nike, Nordstrom, Sephora, Topshop and more. In addition to all the shops you can find, there are also restaurants and even a Pacific Theatres if you are looking to catch a movie. If you have kids, consider stopping by the American Girl Cafe. Other options include Blue Ribbon Sushi Bar and Grill, Groundwork Coffee, La Piazza, Maggiano’s Little Italy, The Cheesecake Factory, Umami Burger, Wood Ranch BBQ and Grill and more. If you’re looking for sweet treats, consider heading to See’s Candies or Sprinkles Cupcakes! For a chance to just lounge with friends, stop by The Fountain Bar where you can sit outdoors at the patio and enjoy a refreshing drink off their creative cocktail menu. They also offer light bites including meatballs, Nicoise salad, hummus, and more. Stop by the Grove today and see all that you can discover!